Are you staying up to date on the latest health food trends? There really aren’t any “new” foods, but plenty are “new to us.” For instance, kale, Greek yogurt and chia are ancient foods that have become trendy. They went from superfood status to packaged items like cheesy nacho kale chips, sugar-laden Greek yogurt with lots of flavor options and chocolate chunk Oreo chia pudding. Not cool and definitely not healthy. Below are five health foods that will help you up your game—and have yet to be drenched in sugar and salt and parked in the snack food aisle. Black rice, also known as forbidden rice, is a rare grain that is gaining popularity in America after being a staple in Asian culture for years. This used to be the food of royalty in China. Now you can get it at your local health food store. This naturally gluten-free grain is incredibly high in fiber, protein and antioxidants. Compared to other popular rice variations (brown, white and red), black rice is highest in protein and fiber. Only red rice has more iron, by half a gram. Bottom line: black rice is legit. You can purchase it at most health food stores and many local supermarkets with a health food section. It’s becoming more popular in the U.S., and I expect it to be one of the top trending foods in 2016. I swap it for brown or white rice every now and then for a nice change of flavor. Maca root packs a powerful punch. A distant relative of broccoli, maca is grown in high altitude regions of the world, especially in South America. Maca root is a great mood booster, providing a nice kick of energy almost immediately after consumption. It also provides natural antioxidants that can help keep your “bad” cholesterol down and rid your body of harmful toxins and diseases. I prefer my maca root in powder form. It’s nearly tasteless, and you don’t need more than a single tablespoon per day. We still have much to learn about serving sizes, side effects (no negative side effects are known at this time) and other benefits, but adding a pinch of this to your morning shake will pay dividends. Skyr has a funny name, but the benefits of this Icelandic dish are serious business. Skyr is like a mix between Greek yogurt and cottage cheese. It’s a cultured product made from skim milk that has been a staple in Iceland for thousands of years. Oddly enough, I found myself traveling to Iceland not too long ago. I admit that Skyr was one of the better native dishes I tried. It sure beats puffin and fermented shark, which I would not recommend to anyone! Although Skyr is more of a cheese, American marketers present this new health food product as a yogurt. Skyr is very high in protein, has just enough healthy fats and is low in sugar. It’s something you can eat any time of day. It can be sweet or savory. Sushi, anyone? Seaweed is buzzing right now and for good reason. Eating these oceanic greens provides numerous benefits. Long before Kim and Kanye decided to name their daughter North (a.k.a. 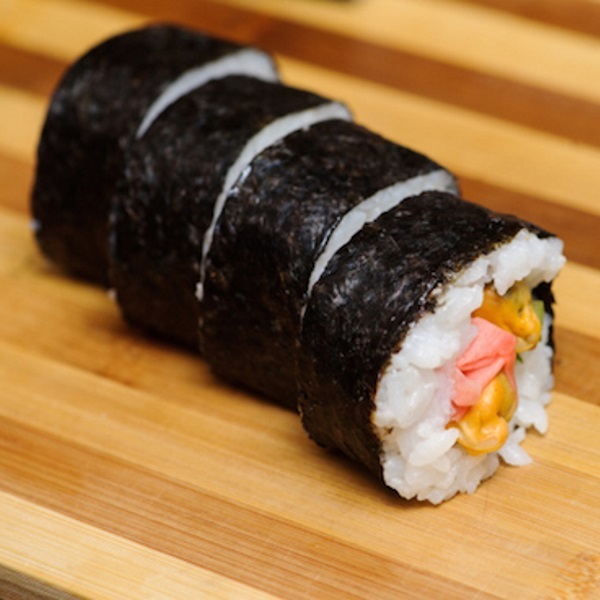 Nori), we had been wrapping delicious sushi rolls with a nutritious sea plant called Nori. Packed with iodine, calcium, fish oil and iron, Nori—and most other popular seaweeds—is a great addition to any soup or salad. Also, dried seaweed can replace tortilla chips or potato chips, and they make great snacks for airplane travel. Two other sea plants that I enjoy are spirulina and chlorella. These are smaller algae from the ocean, and both come in a pulverized powder form that you can mix into shakes (to disguise the semi-unpleasant taste). You can also take them as capsules. All of these seaweeds/algae are nutrient-rich and great for immune health, as they come loaded with healthy bacteria to protect your gut. Last but not least are hemp seeds, the seeds of the cannabis sativa plant. Yes, they are the same species as marijuana. No, you won’t feel the drug-like effects caused by marijuana. Hemp seeds contain little or no THC, which is the compound that causes those effects. Hemp seeds are very high in protein for such a small seed, with about 25 percent of their calories coming from protein. Hemp seeds are also rich in Omega 3, 6 and 9 fatty acids which are essential for optimal health. Hemp seeds can be eaten whole or shelled as a snack by the spoonful, added to Skyr, added to a shake or replace whey as a base for a protein shake, used as a salad topping or even liquefied into hemp milk. Add 1 to 3 tablespoons of these nourishing seeds to your diet. Natural Luteolin An Effective Estrogen Inhibitor?